On 18 and 19 October 2017, IPC hosted a Best Practice Seminar on alternative transport and vehicles . The workshop was attended by 17 delegates representing 13 posts (An Post, bpost, Correos, CTT Portugal Post, Deutsche Post DHL, Le Groupe La Poste, Österreichische Post, POST Luxembourg, Poste Italiane, PostNL, PostNord, Royal Mail Group and Swiss Post). The Best Practice Seminar on alternative transport and vehicles welcomed both fleet managers and sustainability experts and focused on the growing incorporation of non-fossil fuelled vehicles in the postal fleet. Meetings on day one of the seminar took place at the IPC offices in Brussels, featuring guest speakers from EV100 and UPS. During this first day, participants showcased best practices and shared information on their challenges and opportunities regarding alternative vehicles. 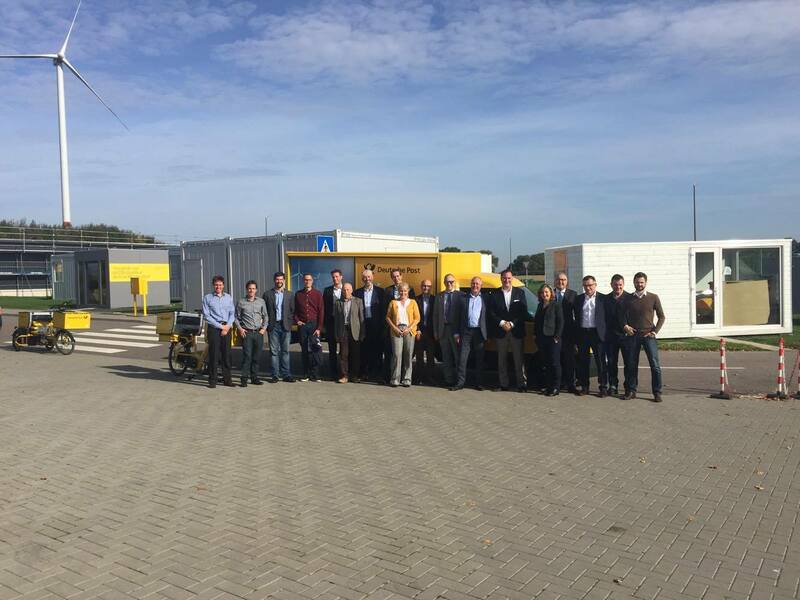 On day two, a visit to the Deutsche Post DHL StreetScooter test track in Heerlen (Netherlands) / Aachen (Germany) was organised and participants were given the opportunity to test-drive various electric vehicles. To access the workshop documents and presentations, please log in via the LOG IN icon in the top-left corner. You will find the documents listed on this page. If you do not have an account yet, please request access through the same box.